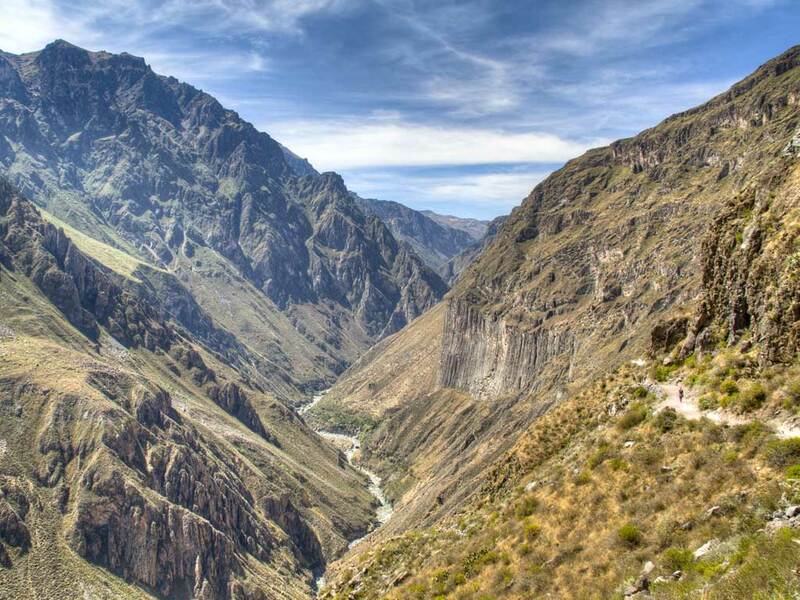 The beauty of this 3,400m deep canyon is staggering. 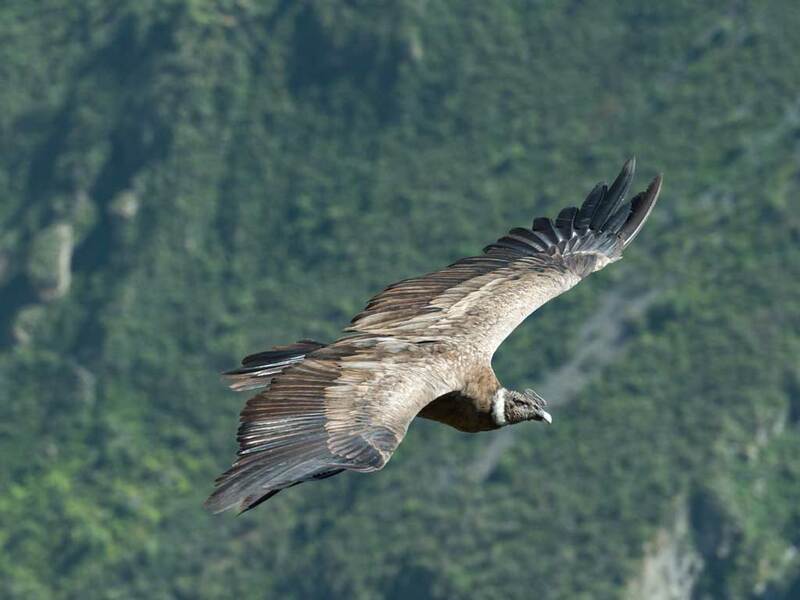 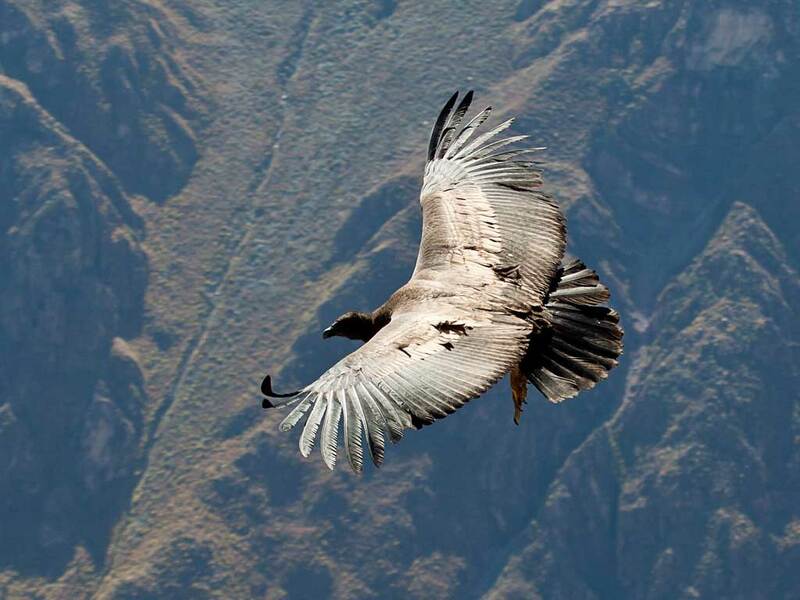 For many it’s on a par with the Grand Canyon, and its magnificent mix of volcanoes, rivers and ancient crop terraces, combined with the sight of majestic Andean condors soaring above it make it an unforgettable spectacle. 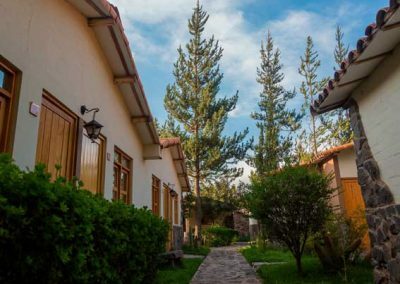 It sits at 3,500m elevation, so you’ll need to acclimatise to the altitude, but once you have it’s a fantastic place for hiking, horse riding and cycling, visiting traditional villages and exploring pre-Incan settlements. 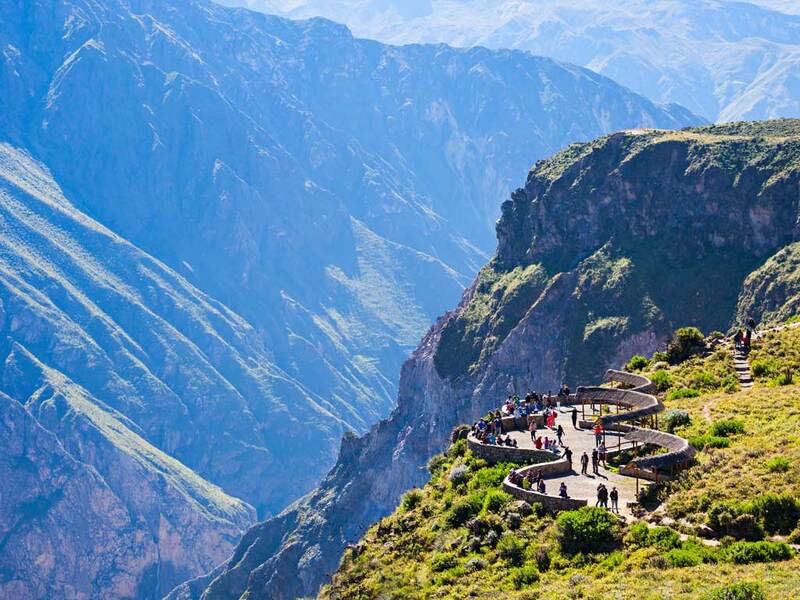 The incredible natural beauty will leave you speechless. 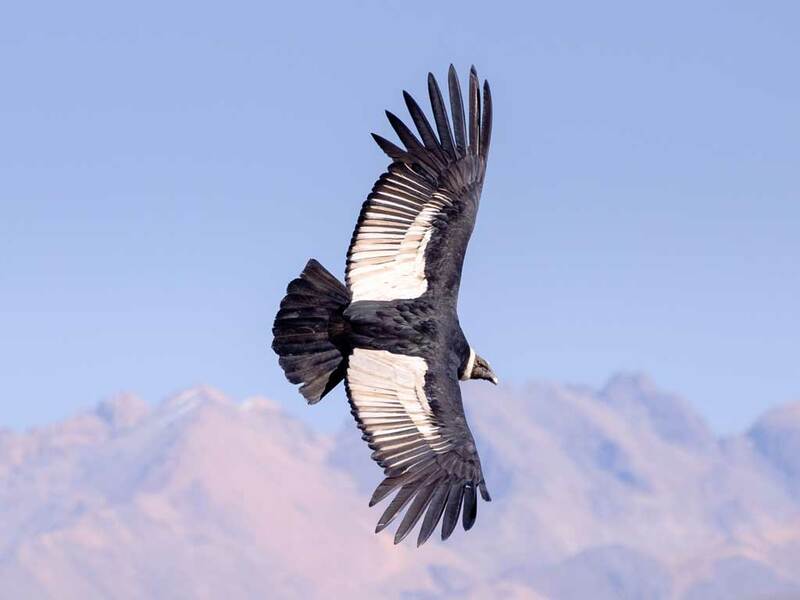 You can’t miss an early morning trip to Cruz del Condor, where the Andean condors rise up on the thermals. 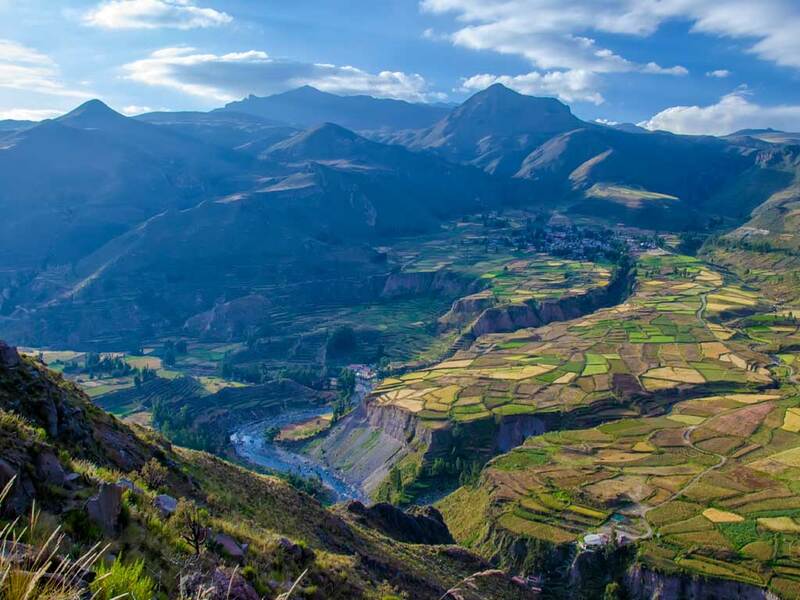 Explore the pre-Inca ruins of Uyo Uyo and take a hiking trail past ancient crop terraces. 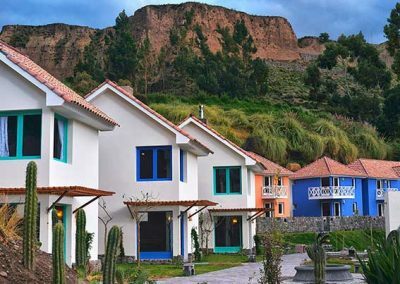 Visit rural villages, whose inhabitants still wear colourful traditional clothing, and spend time in Yanque, where traditional dances are performed each day. 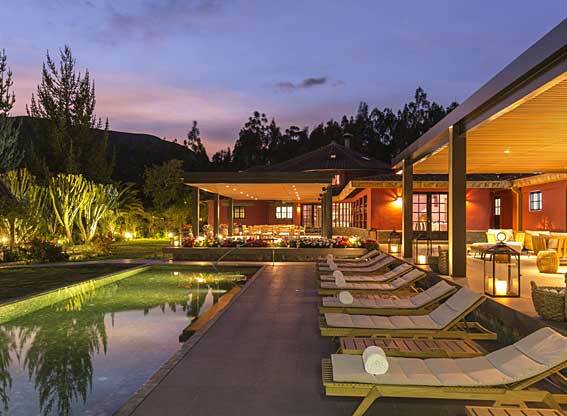 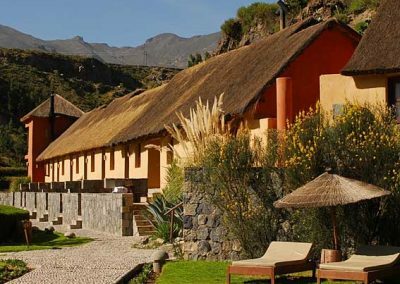 Relax in the warm waters of La Calera Thermal Baths. 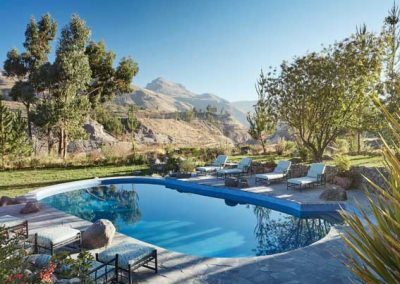 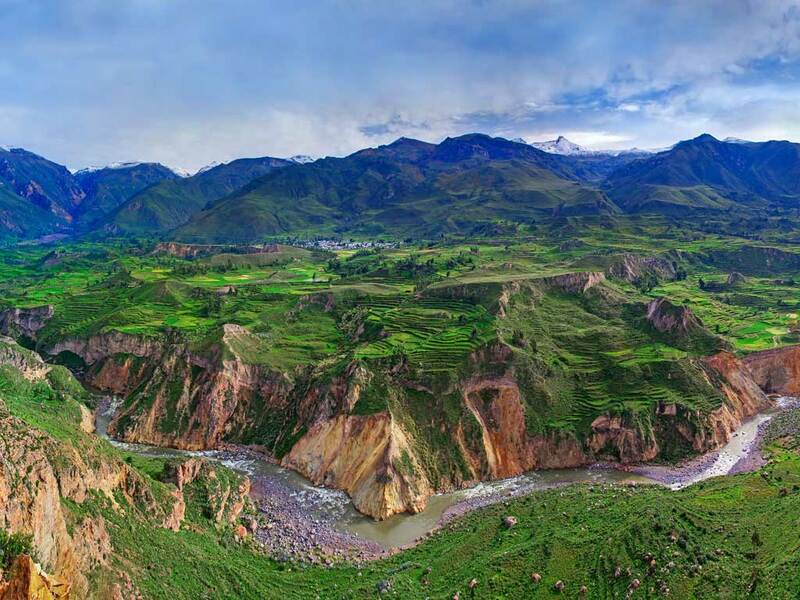 The Colca Canyon region has a host of different types and levels of accommodation, so there is something to suit all tastes and budgets.